SPDM: From Extreme Disappointment to the Democratization of Simulation? Simulation and analysis (S&A) are not known for its simplicity. It has traditionally been the domain of experts. The problems they encounter are theoretically complex, and the software used reflects this complexity. 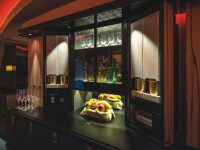 Nevertheless, S&A has become a key area of product development. This raises questions like: How can it be made easier? How can we spread the use of these tools to a wider part of the product design community? And, can simulation process and data management (SPDM) help to democratize S&A? A broader user base. Commercial SPDM solutions are only in use by less than five percent of simulation specialist engineers in mainstream companies. But with easy-to-use apps that contain, among other things, embedded simulation expertise, there is promise of a possible broadening of the user base. Although there are exceptions, simulation software is generally not easy to use, share, or, for that matter, even understand for some members of product development teams. At the same time, the capabilities of the software and the results are necessary to understand the physical behavior of designs and to validate their functionality, strength, motion in a flow, etc., as well as satisfy regulatory requirements. This does not mean that they’re not useful for less complex simulations. But in general, their overall effect has been bottlenecks in the product design process, making for a longer time to market, and a longer wait before revenues start rolling in. Can the tools and processes become more useful not only for the analysts, but also in the broader "designer collective" in this development chain's increasingly important link? 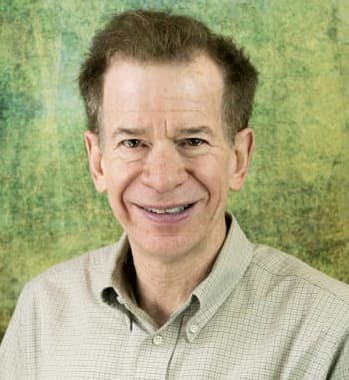 Gartner Group's PLM analyst and vice president, Marc Halpern, was one of the first employees of the now market-leading CAE software developer ANSYS. 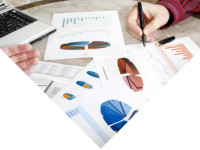 “I have always understood SPDM as a way to manage models and results. A single CAD model can be used to create many different models to perform many different simulations. Although simulation models and data are managed perfectly, this in and of itself does not mean that CAE becomes more democratic. Not even the ‘process templates’ can solve the basic problem,” Halpern claims, pointing to things like general confidence in the results. On the other hand, Halpern says that there are promising examples of embedded expert knowledge and methods in SPDM solutions, pointing at (Aras-owned) Comet’s SimApps. “I believe this is what differentiates what Aras is selling from what I typically see from SPDM technology,” he said. Though the concept of simulation with good SPDM has been recognized as having a lot of potential, the adoption of SPDM solutions has been an “extreme disappointment", as CIMdata formulates it. The emergence of simulation as a key technology can be seen in reduced use of physical prototypes. Simulation and analysis tools can replace a physical prototype with its digital version. Products that only exist virtually must be tested and validated before they are produced. Not only that, in the era of mass individualization, a large number of variations can produce families of products or parts, and they all have to work. 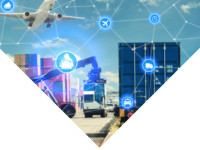 With a connected product (IoT), the operation of a product will also generate usage data and information about the part’s environment and operating conditions. As a result of these trends and new technologies, the number of simulations has increased dramatically in the last decade, reflected in the growth of investments in simulation and analysis tools. According to CIMdata, this growth has made simulation the “star” of the PLM industry, with annual growth rates of around 10 percent over each of the past five years. They have thus also achieved an average growth substantially higher than other PLM investments (CAx, ALM, cPDm etc.) during the same period. In 2017, investments into simulation software and service investments were worth $5.5 billion, making up 13 percent of the total of the PLM investments. So, how has this fertile climate affected the growth of SPDM? While CIMdata states "the end-user's interest in SPDM has increased significantly over the past decade," increased interest has not caused increased implementation. CIMdata voices "an extreme disappointment" over the slow industrial uptake of SPDM, at least outside the major automotive and aerospace industry’s OEM companies. But Halpern is not surprised. “There are good reasons for this [slow uptake]. In stark contrast to ERP investments—which provide immediate cost-saving effects that are directly reflected in the form of profits and rising share prices—SPDM investments are more likely to provide long-term positive effects, which are more difficult to detect immediately. 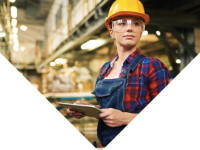 SPDM can make engineers more productive in a way that, from management's point of view, does not have the short-term, immediate benefits that ERP provides,” explains the Gartner analyst. Since so few senior executives understand SPDM, they can’t really support it. SPDM is not like product design, sourcing and manufacturing operations, where what can go wrong can be quite obvious, cause delays in the delivery of the product, and affect the company’s bottom line. They know that construction and technology are important, Halpern adds, but the "pain points" and the consequences of design engineering are often "too far over the horizon” for executives. Again, the situation is not encouraging. "The real adoption rate within mainstream product development activities has been extremely disappointing from a business impact perspective... Unfortunately, the most common form of SPDM in practice today is still the use of personal hard disk storage on the simulation engineer’s desktop or perhaps a shared drive used in common with other members of their immediate organization. Naming and versioning of simulation models and results is haphazard at best and totally inconsistent in the worst cases. 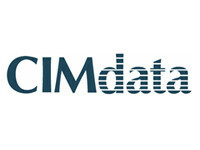 This makes the traceability and pedigree of simulation models and results extremely difficult, if not impossible, to accomplish and can lead to a lack of confidence in the accuracy of the simulation results versus physical test data," CIMdata writes in the 2018 release of its Simulation & Analysis Market Analysis Report. Nevertheless, thereare some positive signs which point to a possibly larger utilization. “The real value of SPDM from a democratization perspective is that, after all, there are tools that enable experts to package the knowledge that can be linked to a design model in a way that makes it possible for many designers without advanced simulation knowledge to take part of, and even do, simulations,” says Halpern. One company that has SPDM platforms to its advantage is Boeing. By tying together simulation and process data, Boeing manages to shorten some development processes substantially. This goes well in line with other cases where development processes have been shortened from months to days. In extreme cases—when the correct knowledge, interpretation and the correct simulation results are all embedded in the design model—the development process can be shortened to hours. This proves SPDM solutions can be a key to success when the use of simulation tools is constantly growing—with the caveat that they are not only used in “normal" design processes, but also in later phases: during the product realization process, as well as when products are in use. More and more PLM vendors are also starting to look at packaging and developing solutions that make simulation more accessible to multiple stakeholders in product development teams. It’s common knowledge that there is a gap and that the demand for bridging the gap is on the rise. 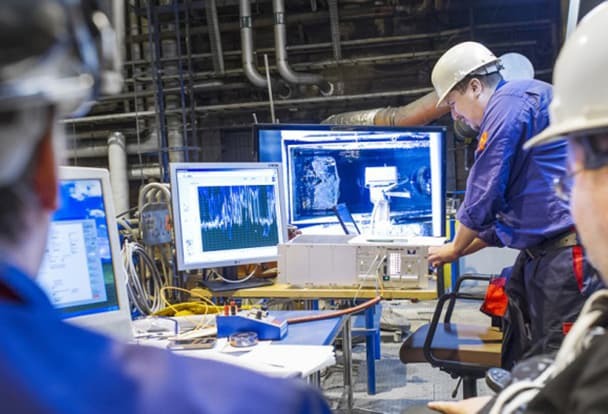 Sweden-based multiphysics software vendor, COMSOL (with the Application Builder), was early to offer solutions for this, but also the simulation giant ANSYS, MSC and the three PLM majors (Siemens PLM, Dassault and PTC) are now working on broadening their respective platforms’ functionalities related to SPDM. The PLM rocket, Aras, closed the gap between simulation and developmentwhen it acquired Comet Solutions at the end of September 2018. 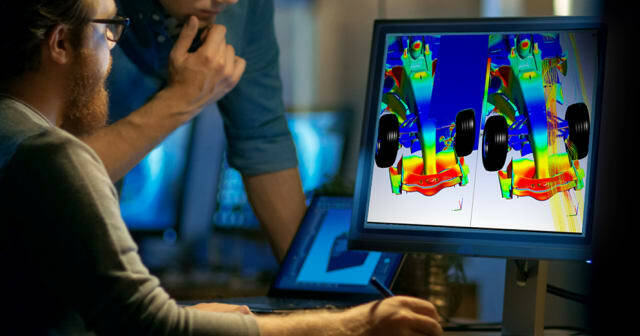 “Much remains to be gained if we can close the gap between simulation and mainstream design by giving simulation analysts the opportunity to repeat and reuse simulations while connecting the analysis to product configuration and multidisciplinary design through quality of life,” says Marc Lind, senior vice president of Strategy at Aras. SPDM challenges. The adoption of SPDM solutions is far from a question of technology only. People, processes and company culture, as well as governance play significant roles. As for the commercial SPDM solutions, CIMdata points at a problem in this context: they have been developed specifically for 3D modeling and simulation (such as finite element analysis and computational fluid dynamics). This means that they often lack effective support for models and information created in 0D/1D systems modeling, which is critical when implementing an MBSE (Model-Based Systems Engineering) approach. 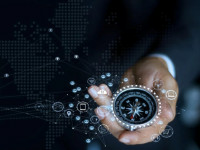 However, the major solution providers are now recognizing this need and the analyst expects to see significant progress in this area over the next several years. Company culture and governance because you have to formulate and carry out a vision, a strategy, and a detailed plan on the path to implementing the SPDM system. However, software vendors are still in the early days in developing SPDM solutions that are both robust and easy to use. Most analysts alsoagreethat the exponential growth of CAE and the explosion of simulation-related data appearing from increasing digitization, new technologies and disruptive product realization methods requires more competent management systems. “Without good SPDM tools, it will be difficult to effectively understand this part of the product realization process,” says Marc Halpern. Simulation is an indispensable element throughout this process. Why? An increased use of generative design (where the software proposes an optimized design based on the basic model). 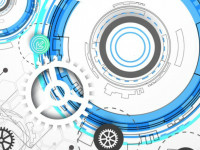 “SPDM platforms will be crucial to realizing the true potential of PLM, digital threads and digital twins, and enable collaborations with other corporate platforms, such as ERP, MES and MRO to realize Industry 4.0 concepts in the next step,” Halpern adds. CIMdata agrees in its 2018 report: "Companies need to be better at managing simulation models, results and related design information, improving collaboration and reusing and better integrating simulation activities into the PLM environment. Doing this supports a larger audience of product development engineers, engineering managers, product managers and others in the extended organization and supply chain who can benefit from access to simulation information to make more informed decisions." CAE is traditionally one of the more well-preserved siloes in product development. But in recent years, we have seen increased communication between the analysis, simulation and the rest of the members of the product development team. Also, it is clear that new disruptive technology can be a catalyst and is able to break up isolated data structures. But there’s more. Can a software developer create solutions that can meet the new requirements to extend collaboration opportunities, Halpern wonders. Without uncertainty. Is it possible to parameterize the thermal analysis of a microprocessor on a circuit board, so that it can be applied to similar configurations and variations without uncertainties about the mesh? 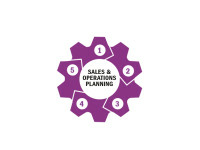 During a NAFEM presentation, the Gartner analyst said that this is an example of a capability that one can embed in a model. Allowing more engineers to perform simulation is exactly what the PLM developer Aras was aiming for when it purchased Comet. The acquisition is an important step on a roadmap for developing platform-based SPDM to support increased use of simulation for complex scenarios. Aras aims to improve Innovator’s ability to handle simulation data. With Comet's technologies, manufacturers and product developers can reuse complex simulations to scale up or down the application and widen the use of simulation results. One result: it is now possible to connect simulations and gain access to experts in the field by offering traceability, access and reuse during the product life cycle. Comet's products are largely based on a series of customer-developed and web-implementable "SimApps," with built-in expert knowledge and methods. “These SimApps,” says Aras Marc Lind, “create a simulation-driven design that fits all users, from CAE experts to design engineers. " We ask Halpern if this is what he meant by encapsulated knowledge. He added that Comet's real value in democratizing simulation is its ability to integrate functionality and knowledge into CAD models so that the person making the simulation or evaluation need not worry about complex problems and intricate trade-offs to make the simulations. “Encapsulated knowledge takes care of it." Web-based Simulation a la Aras. Comet’s SimApps (now part of Aras) are web-based simulation programs that are easy to use, even for salespeople. Product engineers can perform complex simulations safely. These SimApps can answer specific questions about the design of a product in a product family, for example. Comet experts, partners and customers have built, tested, and deployed a comprehensive library of SimApps that capture and execute best practices for simulation, automate repetitive and tedious tasks and secure the power of sophisticated CAE analysis in the hands of both experts and non-expert users. 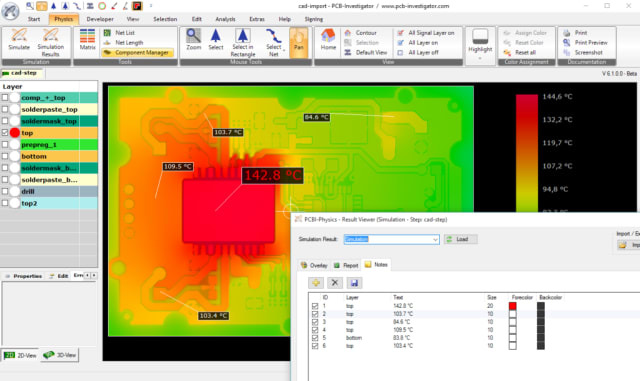 An important point to get SPDM to work is to apply a "vendor-agnostic" implementation by connecting a wide range of CAD, FEA, meshing, 0D/1D simulation tools and proprietary applications. It is a requirement for supporting the often heterogeneous software environments found in organizations. Aras's chief architect, Rob McAveney, argues that wider use of simulation has generally deteriorated as the simulation process and data management tools (SPDM) lack effective links between simulation users and the extended enterprise. McAveney sees a market growing exponentially, while progressing as the utilization of physical testing decreases. He also points out that the complexity that comes with smartly connected product design and MBSE are important trends that will support the need for this type of platform. “We see simulation in its context, with overall system technology processes together with configuration and change, variants, requirements, validation testing and more. The fact that simulation management is often completely disconnected from mainstream processes is a problem as there is no traceability throughout the product life-cycle loop,” says McAveney. McAveny points to the importance of developing the "digital thread" and solutions with digital twins for predictive maintenance. "With Comet technology we close the gap between simulation and mainstream design by giving simulation analysts methods to repeat and reuse simulation, link the analysis to product configuration and design during the product life cycle,” he summarizes. He also points to Comet's ability to handle mixed models, different data types and representations of the same product. The same applies to assembly, which also needs to be simulated. All in all, this offers "an important aspect of managing system simulations across several technical disciplines." The ability to extract intelligence from simulation models and results, rather than just managing data at file level, is also a big advantage over other SPDM systems on the market. 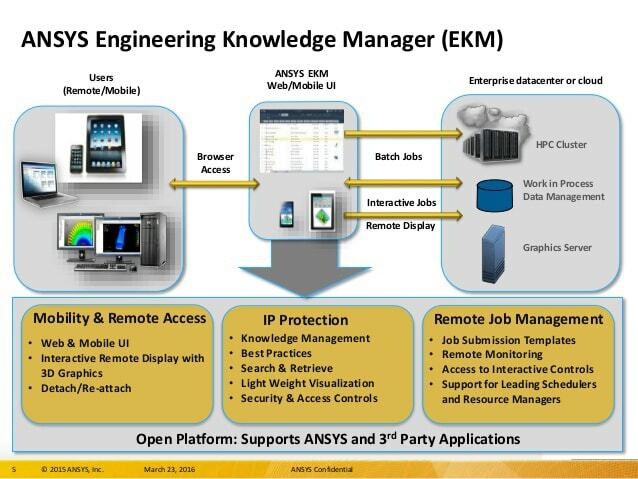 What the general setupof ANSYS’s SPDM solution EKM looks like. Aras is not alone. PLM market leaders Siemens and Dassault Systèmes have invested heavily to beef up their simulation solutions in recent years. ANSYS, PTC, MSC, and others, are working on their own SPDM solutions. One of the main reasons for this is the demand from customers in industrial segments that are convinced of the power of simulation and SPDM, such as automotive and aerospace. Will an SPDM solution help them in their efforts? Given the above arguments, it is not unreasonable to expect some kind of difference. But, selling this type platform of is not an easy task. 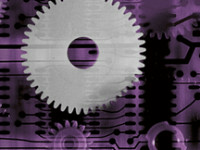 In addition, one should bear in mind the built-in structural resistance in corporate organizations, where the simulation has always been its own department and the argument for a well-functioning SPDM encounters is countered with the significant costs of its implementation, especially true at large automotive and aerospace companies. But for the bottom line, the return on investment of SPDM looks convincing enough. Even “compelling”, asserts CIMdata in its 2018 report. Finally, Aras this week announced a partnership with Visual Collaboration Technologies (VCollab) for simulation visualization, post processing, and reporting. Aras will use the VCollab technology in SPDM processes across the lifecycle. Worth noting is the fact that VCollab can handle formats from all of the big simulation developers (ANSYS, MSC, etc. ), which makes it easier to spread and understand simulation results in broader product realization teams. This is one of the greatest values with SPDM.